a. This insert was fabricated using a precision cavity mold for a plastic injection molding customer. The component is part of the core assembly for an automobile electrical housing circuit connection. b. The finished component would measure 1.514" in length, 0.1920" in width, and 1.6549" in height, at tolerances of +0.0002"/- 0.0000". 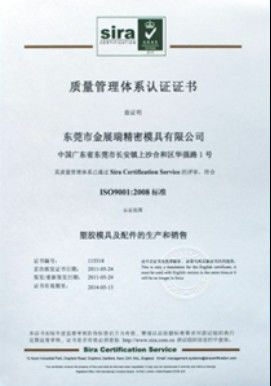 The mold was composed of S-7 T.S. HD'N 54-56 RC, and featured a finish of SPI B3. inserts like this one is the mostly normall product we make, about 800-1000units every month. Inserts fabrication is our strongest strength. c. It was machined utilizing our Surface Grinding, Mitsubishi wire EDM, Sodick EDM and conventional EDM. 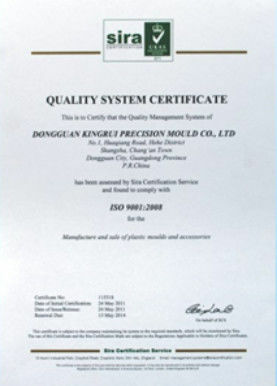 Almost our product are made of grinding and EDM, as well as Wire EDM. We can make a very tightest tolerance. Kingrui's usual packaging is PE film, plastic box and carton, but we can also make the appropriate packing according to the actual situation of your product or your request to ensure your product is safe. We and TNT, DHL, Fedex, UPS and other companies have cooperation, we can also choose according to your needs mode of transport. 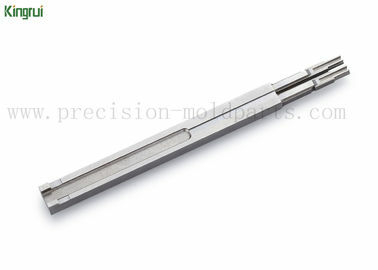 * High precision press parts, can be even +/-0.002mm material like KD20, V30, G4, etc.